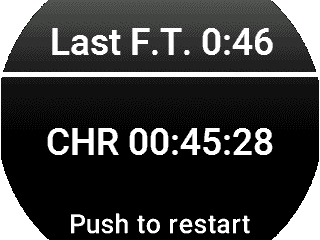 See optionals from Hardware tab below. 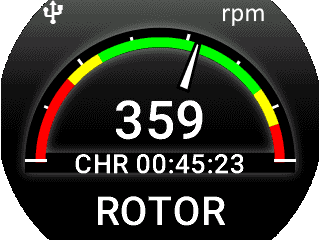 Omnia57 ROTOR is a multifunction rotor tachometer with added functions like chronometer and automatic flight timer. 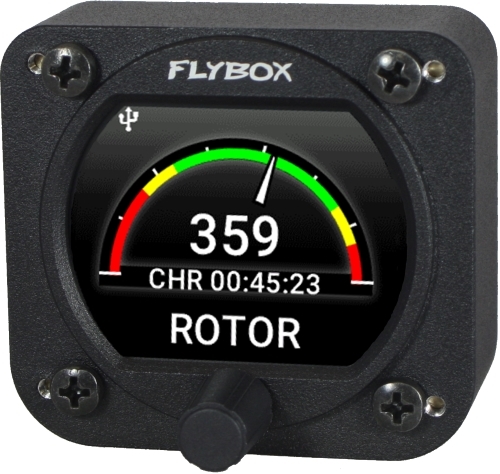 The instrument is fully customizable to fit almost any rotor pulse number. All the components of the Omnia57 family are equipped with a state-of-the-art, highly visible display, a powerful 32 bit microcontroller and the latest generation of solid state sensors and components to ensure reliability and accuracy over time. Up to 16 Omnia57 family instruments can be connected in cluster to form a communication network, making some data exchange operations simpler.